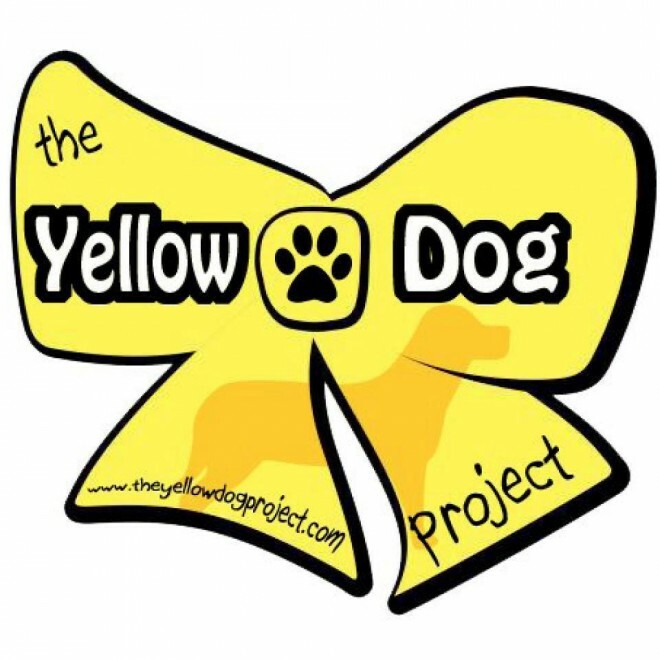 Many people may have heard about “The Yellow Dog Project”, a global movement for owners of dogs that need space. (http://theyellowdogproject.com/) It is as simple as having a yellow ribbon tied on a leash as a signal to others to give this dog space and do not approach. Of course, an obvious reason to use the yellow ribbon would be for an aggressive dog to have space from other dogs or unfamiliar people, but there are so many other applicable situations. For example, dogs who have recently had surgery and need time to heal should avoid playing with other dogs or people. Also, a rescue or shelter dog who has not yet had sufficient training in how to interact with other people or animals may benefit from personal space during their adjustment period. There are many other reasons for a dog needing space, but we need to spread the word so the yellow ribbon becomes a global signal. In any case, if you would like to approach an unfamiliar dog always ask the owner their permission first. Not all dogs are friendly towards strangers or other dogs. Do not assume that since your dog likes to interact with other dogs, that another dog will feel the same way. Ask the other owner if it is alright for your dog to approach prior to their introduction to ensure everyone’s safety. You must also use your common sense to realize whether or not this dog would like to be petted. Dr. Sophia Yin, an animal behaviourist, has great information denoting what an animal looks like as there are becoming fearful. A fearful animal is more likely to growl, bark, or bite, to signal that they do not wish to be approached. Cowering, lip licking, panting (when not hot or thirsty), being hyper vigilant, won’t take a treat suddenly when they were hungry earlier, pacing, etc. are all signs denoting anxiety. Anxious dogs should never be approached by strangers because of the risk of dog bites. For more information about how to properly greet dogs, please visit this excellent website with an article about dog behaviour and preventing dog bites. It is important to talk to our children about how to properly interact with dogs. Our technicians often visit schools and young children about the “Be a Tree Program”, a fun and interactive presentation for children to help them read dog body language and how to be safe around dogs. If you are a school teacher, brownie/scout leader, or know of a class which could benefit from this program, give us a call. Remember: Yellow Ribbon = Give the Dog Space. Dr. Sophia Yin. <http://drsophiayin.com/blog/entry/preventing-dog-bites-by-learning-to-greet-dogs-properly>. Accessed 03/09/2015.